This was very easy. I used a brownie box mix. I mixed the ingredients according to the directions on the box. I sprayed the heart cookie pan with cooking spray. Then I poured the brownie mix into the cookie pan. Next I placed the cookie sticks into each heart. 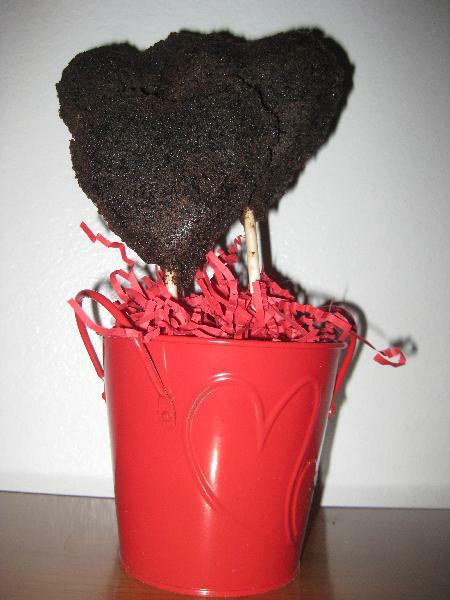 I baked the brownie cookie hearts at 350 degrees for 15 minutes. Description: A yummy treat for your that special person in your life.